Eclipse season continues as we enter the month of August! We had a new Moon Solar Eclipse on July 12th and a Full Moon Lunar Eclipse on July 27th. We now have a third eclipse on August 11th….A New Moon Solar Eclipse, this time in the sign of Leo! But, before we look at the energies for this lunation, let us start by looking at the numerology energy for this 8th month of the year. The number vibration for the month of August is 19/10/1. The single digit vibration of the number 1 tells us that this is a month of new beginnings (last month had the single digit vibration of the number 9 and so was about endings). This month we need to be open to new directions, new ideas, and new energy. The number 1 stands for the individual, confidence, leadership, initiation, and taking charge of one’s life and one’s Destiny. The number 19 is one of the four karmic numbers in numerology and focuses on the idea of independence and standing on your own two feet, while at the same time focusing on the idea of interdependence and being open to asking for assistance when you need it. It is the balance of the individual consciousness and the collective consciousness….a balance between charging ahead and taking action, along with surrender and going with the flow of how life unfolds. The first astrological energy of significance is Mars, planet of energy and action, which is currently retrograde in Aquarius, challenging Uranus, ruler of sudden and unexpected events and situations, in the sign of Taurus on August 1st. This should be an interesting time, especially since it is just a few days after our Full Moon Lunar Eclipse that was on July 27th. There may be sudden redirections and changes in situations and circumstances. Be aware of your surroundings as this energy can make one accident prone as Mars is in the erratic sign of Aquarius. On August 6th, beautiful Venus, ruler of partnerships and finances, moves into Libra, one of her ruling signs. 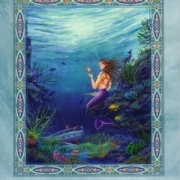 Her focus and attention now will be on connections with others, balance, harmony, equality, and compromise. She will be in the sign of the Scales until September 9th. If you are single you may be looking for that “significant other”, and if you are currently in a partnership (including a business partnership), there will be more of a focus on the dynamics of the relationship. The next day, on August 7th, Uranus, the Great Awakener, will turn to retrograde motion at 2 degrees Taurus. Uranus is a slow moving planet and will be retrograde until January 6th, 2019, so we will feel most of this change of direction on, or around, this day. 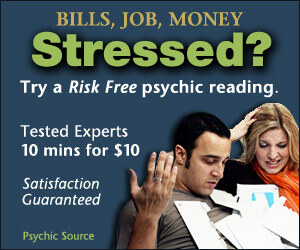 Expect the unexpected, especially where money and finances are concerned. This may not be negative as one never knows how the Uranus energy will play out. There may be some surprising blessings or opportunities that come out of the blue, so pay attention! Mercury, planet of the mental realm, is retrograde in Leo and connecting with the Sun, ruler of our personality, on August 8th and then challenging Jupiter, a planet that rules our belief systems, on August 11th. We may feel challenged by our own thoughts about our power, confidence, or leadership ability at this time. Shine your Light and be your Authentic Self. Believe in who you are! Also, on August 11th we have the 3rd Eclipse since July 12th….a New Moon Solar Eclipse at 18 degrees Leo! Just previous to this lunation we will be in the “Dark of the Moon” phase, a time of releasing and healing. Again, Leo is about how we shine our light out into the world. It is about our creative self-expression, so we can expect to feel a bit challenged by our own ego nature and feelings of insecurity. 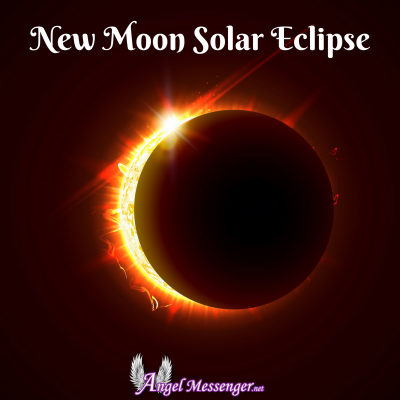 After the New Moon happens, we are then in a phase of new beginnings and this is made more powerful and significant by the Solar Eclipse energy. These three eclipses have most likely initiated some endings and some new beginnings which can take place on the physical, emotional, mental, and/or spiritual levels. Also, the eclipse energies are longer lasting than a regular New or Full Moon lunation so we will experience potential shifts on our path for the next few weeks or months ahead. Independent Mars retrogrades back into Capricorn on August 12th focusing his assertive energies in the realm of business, career, and Life Path. If you have been working on any projects, these next couple of weeks is a time to put your efforts towards getting things done and wrapping up details. Mercury, the ruler of thoughts and communications, turns back to direct motion at 11 degrees Leo on August 19th. Now our ideas can be put into creative action and start to take form and shape. The Sun, planet of how we shine our Light out into the world, is moving into practical Virgo on August 23rd as it does every year at this time. For the next month, the focus is about paying attention to details, working, organizing, and getting things accomplished. On August 25th our Sun creates an Earth Grand Trine with Uranus in Taurus and Saturn in Capricorn. There is a window of opportunity to bring great things into manifestation if we apply ourselves now. We have a Full Moon at 3 degrees Pisces on August 26th. 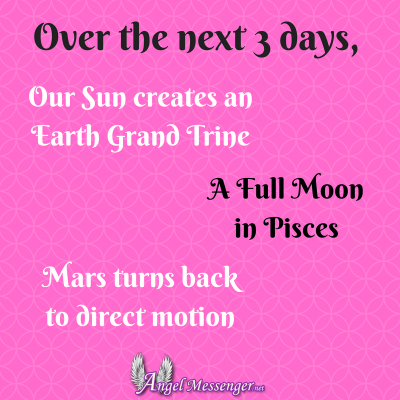 This is not an eclipse energy, but this lunation holds a potential opportunity of spiritual blessings being brought into form as it sextiles Uranus, the Awakener, and Saturn, the Manifester. We end this month’s astrological energy with another challenging connection between mental Mercury, who is now in direct motion, and Jupiter, planet of expansion, in power sign Scorpio on August 28th. This is the 3rd challenging square aspect between these two planets because of Mercury’s retrograde cycle that started in July. The first connection between these two was on July 8th, the second was earlier this month on August 11th and now the third, and final, square on the 28th. These planets have been challenging our thoughts and belief systems regarding our own sense of power. This has been about finding our confidence again (Leo) and empowering ourselves (Scorpio) to believe in our Destiny, and move forward into the infinite possibilities that lie before us! 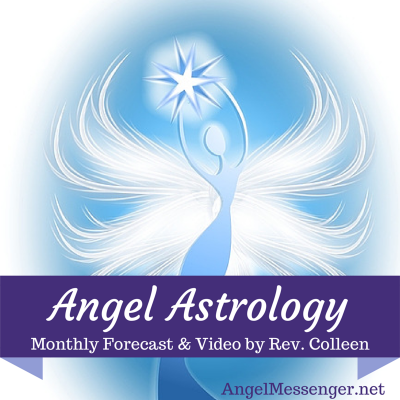 Please be sure to watch the Monthly Angel Card Reading Video below and watch my weekly readings on my YouTube channel, Angel Messenger website, or on my Facebook page to hear what messages our angels and guides share with us for the upcoming month! The cards used for the main message in this reading are from the Sirian Starseed Tarot by Patricia Cori and Alyssa Bartha. For the special messages, Rev. 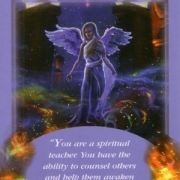 Colleen uses the Archangel deck by Doreen Virtue. How to Know that You Have Completely Healed from the Past It’s Time to Reclaim Your Power and Stop Being Bullied!